AARNA CONSULTANCY is a highly acclaimed firm engaged in rendering competent placement solutions. We provide our recruitment services for different domains that include Education, BFSI, Manufacturing, Hospitality, IT / ITES, BPO and Real Estate. We have vast expertise and are renowned for offering reliable manpower recruitment services across the nation. 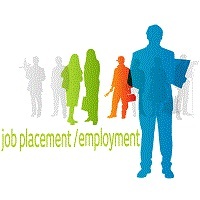 Our placement services are designed to fulfill the requirements for both job seekers and hiring companies efficiently. For the effective results, we have hired a team of experienced professionals who wisely short list the eligible candidates for the desired job profile.